Platinum coins are one of the most rare two types of precious metals, alongside their sister issues in palladium (another member of the platinum group of metals, known as the PGM complex). Understanding which ones to purchase in an investment or retirement savings portfolio can therefore be challenging. You can rest easy that this page will clear up these issues for you by identifying the five most popular and important platinum bullion coins for IRA retirement accounts. 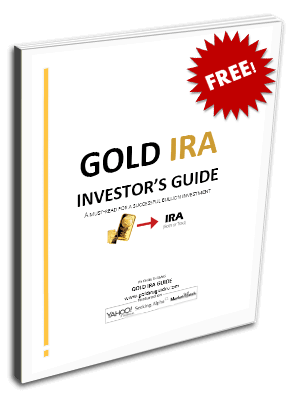 Because this is a precious metals IRA website, we will limit our choices to the coins that the IRS allows you to include in a Platinum IRA. Such approved bullion pieces must meet the exacting minimum purity requirements of the Internal Revenue Service, which they are solely responsible for setting. These purity standards mandate that all approved platinum bullion coins and/or bars must attain .9995 level of fineness or 99.95 percent platinum purity. Besides this, the IRS also insists that the platinum itself must be struck by (and usually at) an approved foreign government mint. Finally, the platinum inventoried in such a retirement account must be real bullion. This simply means that it can not be thought of as overly rare, too collectible, or with an unnecessarily high premium over the spot price of platinum as dictated by the global precious metals markets. Some helpful guidelines: There are only two ways to add in physical platinum bullion to your particular precious metals IRA. You might do it with platinum coins or alternatively with platinum bars. You should know that there are real differences between choosing bullion coins versus bullion bars. The final result of your decision means that you favor precious and extremely rare platinum over traditional paper currencies. This will always be true, regardless of whether you arrive at the final destination of coins or bars. Philharmonic coins and the Silver Philharmonic coins, the design on the obverse features the Great Pipe Organ found in the Vienna Golden Hall, while the reverse showcases a variety of differing instruments which the world-famous orchestra plays. It is the world-renowned Austrian Mint in Vienna that produces these beloved gems. They stand behind the purity and quality of these successful coins. The Austrian Mint has a proud and storied tradition of coin making which stretches back more than 800 years ago when they first struck silver coins from silver which King Richard the Lionheart of England had paid for his ransom to the Austrian Archduke. Today they strike these Philharmonic coins with an impressive €100 legal tender face value, which is at least twice as high as their American Eagle and Canadian Maple Leaf rivals. This makes these the highest face value platinum pieces from any major national mint on earth. There is only one official United States government-backed platinum coin, and this is the American Platinum Eagle coin. As the only platinum piece the American government guarantees, these coins first appeared to the public in 1997. They are more than just one of the more instantly recognizable platinum pieces on earth, they are also the one and only American coins which change their reverse side designs every year. These platinum bullion pieces are also the only such issues that have their weight, content, and purity all backed by the full faith and trust in the U.S. government. It was only in 1997 that the Platinum versions of the Eagle bullion coins appeared. It took a combined partnership effort from the U.S. Mint Director Philip Diehl, Executive Director of the Platinum Guild International Jacques Luben, and President of the American Numismatic Association David Ganz in lobbying for a platinum variation on the wildly popular American Eagle series for Congress to authorize the minting and finally sale of the American Platinum Eagle two years later. As with the gold and silver versions of the American Eagle, the platinum iteration is available in a beautiful proof iteration. These are specially struck for collectors and feature extra collector premium. It means these pieces are highly polished and boast a superior visual appearance over their bullion cousins. Besides these differences, the proof coins prove to be the same in quality, shape, size, and overall appearance. Thanks to the enviable success of the Canadian Gold Maple Leaf series of coins, the Royal Canadian Mint decided to release both a Silver Maple Leaf and Platinum Maple Leaf in 1988. Unlike the annual standard production of the gold and silver versions, these Platinum Maple Leafs have not been consistently struck each year nor boasted a typically large yearly mintage when they were produced. For the first two years of issue, these Platinum Maple Leaf coins were available in four varying weights and denominations and came with the younger Queen Elizabeth II portrait. The 1990-2002 versions of the coins showcased the older bust of Her Majesty as of the time of her 64th birthday. Following the year 2oo1, the Royal Canadian Mint decided to abandon consistent annual production of the Platinum Maple Leafs. They minted a rare collection of 500 sets of unique holographic versions of the platinum edition of the coin that next year 2002. The Royal Canadian Mint did not issue any further Platinum Maple Leafs till 2009. That year, they struck a limited edition version of only the one troy ounce sized coins featuring the 79 year old version of Queen Elizabeth II. Each of these Maple Leafs are struck by and at the famed Royal Canadian Mint whose main branch is located in Winnipeg. The coins all feature face value which is good in all legal tender transactions. The platinum versions contain a face value of 50 Canadian dollars. The Australian Platinum Koala comes from Australia's world renowned Perth Mint. This is among the only series of platinum bullion pieces which feature new coins every year, helping to make it a good choice for investors. These coins were originally struck in 1988. It makes them the first of the various national mintages of a one troy ounce platinum bullion coin, which helps to explain how it became an immediate international success story that encouraged other major mints in Canada and the United States to follow suit later. By 1991, the Perth Mint had begun to strike bigger versions of all their bullion coins in silver, gold, and platinum. This meant that two ounce, 10 ounce, and even kilogram weight platinum coins became available to buy from the Perth Mint. They have always kept down the total mintage in the platinum versions of the Koala coin series, which helps to ensure the coins have some rarity appeal while still being eligible for IRA inclusion. These coins are commonly regarded as the most beautifully frosted, designed, and crafted platinum coins in the world today. This is why the Australian Platinum Koala coins boast a brilliance that can not be matched by the other competing platinum bullion coin peers from around the globe. A small island found off the coast of both Great Britain and Ireland, the Isle of Man proves to be a British protectorate which was long a medieval Viking kingdom and still maintains its independence today technically. They are renowned for their issuing of high quality coins in platinum, gold, and silver. The first investment grade platinum coin offered for widely available purchase was the Platinum Noble, also called the Manx Noble. These Nobles are especially interesting as they are not produced by a national mint in the Isle of Man, nor at the Royal Mint in overlord country Great Britain. Instead, they are struck at Britain's Pobjoy Mint, the private minting facility well known for its striking of mostly uncirculated coins. It was 1983 when the Isle of Man first commissioned this mint to strike the world's first investment level and grade of platinum coins. They were released in November of that same year. Despite the fact that these coins are not the product of a national mint, the IRS accepts them for Platinum IRAs because they are produced to the exact specifications of the Royal Mint, which of course is IRS-approved. By 1989, the Pobjoy Mint and Isle of Man had discontinued these coins' production completely. Since that time, no other pieces have been struck. Thanks to the six year limited run of such platinum gems, they boast significant rarity compared to the other bullion platinum pieces, yet they are still not rare enough to disqualify them from precious metals IRA accounts. Why Invest in Platinum Coins? Bullion coins consistently experience higher levels of collectibility than the bars do. This provides them with true numismatic collectible value. Their finely crafted, attractive, and creative appearances outmatch bullion bars any day. Bullions coins boast a greater liquidity than competing bars simply because the coins have a greater production run and prove to be more popular. This makes them extremely convenient for buying and selling purposes. Practically all bullion coins gain popularity from the legal tender and face value denomination of their original country of issue. It means that they enjoy higher appeal when there are financial crises in the world.